Michelle Obama has done what all teenagers dread their mum doing - danced in public. 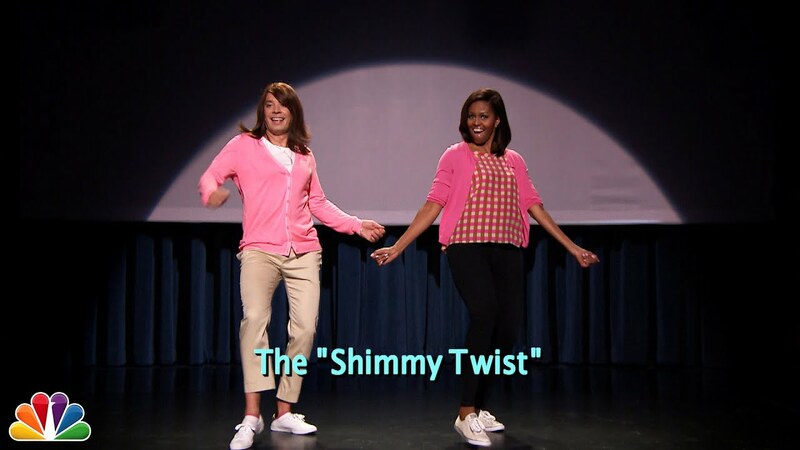 Whilst appearing on Jimmy Fallon the First Lady of The United States took part in 'The Evolution Of Mum Dancing' alongside the US TV host (who dressed for the part). Hit play above to find out what happened when Michelle was asked to dance like Barack Obama.